If you are having trouble with something in MyLO this is a good place to come to find out whether it is a problem unique to you, or if it is a common issue. ‘Work-arounds' will be provided for each issue where possible. If you are aware of an issue with MyLO, or have any comments or suggestions, please let us know by opening a job with the Service Desk: https://utas1.service-now.com/selfservice/. Some doc files are not showing in-text citations within the document viewer. This is an issue if you are using the Document viewer only to mark your assignments. Downloading the file or viewing with Turnitin renders the doc file correctly and citations can be seen. This issue is affecting users who are using Word from 1997 - 2003 (.doc) files. These doc files are then saved as a docx file uploaded into the student's assignment folder. Or students can save their files as a PDF file and upload that instead of a docx file. To access MyLO Manager when not on campus you will need to have access to VPN on your PC. To download MyVPN. For any issues with installing VPN please contact the Service Desk. PowerPoint slides are converted to images using the Blackboard Collaborates hosted conversion service before being displayed in Collaborate Ultra. Blackboard have received many reports of issues occurring during the PowerPoint slide conversion process in Collaborate Ultra. These issues range from misaligned text and images, odd font sizing and missing slide content, among others. The issues are seen most frequently when uploading slides containing multiple images, math equations, complex backgrounds and certain fonts (Note: Custom fonts will not be among the fonts installed on the conversion system and should not be used). If your PowerPoint slides do not convert as you expect, there are several simple workarounds available. (Note: PowerPoint/PDF files with more than 500 pages cannot be converted). The best workaround is exporting from PowerPoint to PDF, and then upload the PDF file instead of the PowerPoint file to Collaborate Ultra. An alternative is exporting from PowerPoint slides to image files, and then upload the image files instead of the PowerPoint file to Collaborate Ultra (Note: Screen readers can only read text content on PowerPoint and PDF files, not on image files). One final option is using Application Sharing to share a PowerPoint slideshow (Note: Application Sharing utilizes more bandwidth than uploading files to the Whiteboard. Additionally, when sharing a PowerPoint slideshow, you must share the entire screen to display the slideshow). If you are receiving an error message when logging into MyLO stating you are not Authorised please try resetting your password. 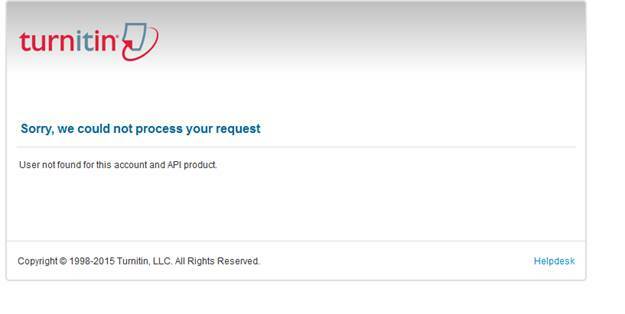 If you are trying to access a unit in MyLO - such as Turnitin & Academic Honesty and get this error, you may not be enrolled. To self-enrol in this and other units go to the Course Catalog. If you are in a unit, and pressing on a link gives you this error, then the link may have restrictions on it, or it could be pointing to a file that is still in draft mode. In this case it is best to contact your lecturer in the first instance, as they can fix these errors. When uploading an assignment to an assignment folder you may sometimes encounter an issue. Please look through the main issues here with the ways in which to resolve them. Cannot see the Assignment Folder in your unit. There could be various reasons why you cannot see your assignment folder in your unit. Often the assignment folder will only appear if you have accessed specific content, done a quiz or activated a plagiarism Checklist. To ensure that you have done these items read the announcements in your unit, read your unit outline and access any content module called Start here or Important Information, as it may contain links to either a Quiz you need to do or a checklist you need to agree too. These tools can also be found in your navigation bar. 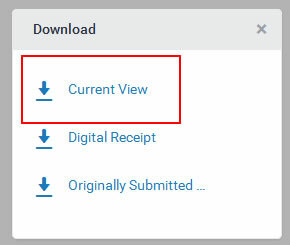 If after going through your unit content you still cannot see any assignment folder, in the first instance, please contact your lecturer about this issue. The end date for your assignment may have already been reached and the assignment folder is now closed. If you no longer have the option to upload your assignment (it is greyed out) please contact your lecturer and they can give you extended access to the assignment folder so that your assignment can be loaded. You are trying to upload an assignment via an iPad- currently this is not compatible. Please upload via a PC or laptop. This can happen because your browser ( such as Firefox, Google Chrome or Safari) has pop-ups blocked. Please disable pop-up blockers,then hit F5 (refresh) then try clicking on the button again. Other causes of this issue can be Norton browser plugin; AdBlockPlus; or your internal internet browser settings. Please disable these for use with MyLO and try again. You get a message saying "Oops, your file could not be uploaded"
"Oops, your file could not be uploaded"
When adding a file to your assignment folder, instead of it loading directly you will instead get a blank dialog box. To resolve this please clear the browser cache then try again. Using an alternate browser may also help. If clearing the cache doesn't resolve the issue, check the browsers extensions for security products such as Norton etc. Disabling these should fix the problem. Information on how to clear your browser cache . Sometimes when attempting to upload a file to the unit assignment folder, the file will stall and not fully load. This appears to be occurring when the student has made a copy of the presentation so it is duplicated with the same name. To fix the issue either rename or delete the older duplicated presentation and upload again to assignment folder it should not fail this time. All recordings that are booked within a MyMedia venue are stopped automatically at five minutes to the hour. This then allows the system to prepare for the next recording. It is vital that you do not press stop during this stage. Doing so will cause the following lecture to not be recorded. If you finish your lecture early, just leave it recording - do not press stop. You can edit out the end of your lecture once it has been processed and added to your library. There is a known issue for users on iPads when going to create a discussion post within MyLO. When typing in your text, the first two lines do not appear in the edit window. However on posting the text will appear. This is a known issue that the vendor is investigating. The workaround is to create your discussion in Grid view when on an iPad. Instructions on how to change your view from Reading View to Grid View can be found here: Grid View. A small icon of a shield will appear on the left side of the address bar if the page you are viewing contains unsecure content. Click on the shield and click the More Actions arrow. 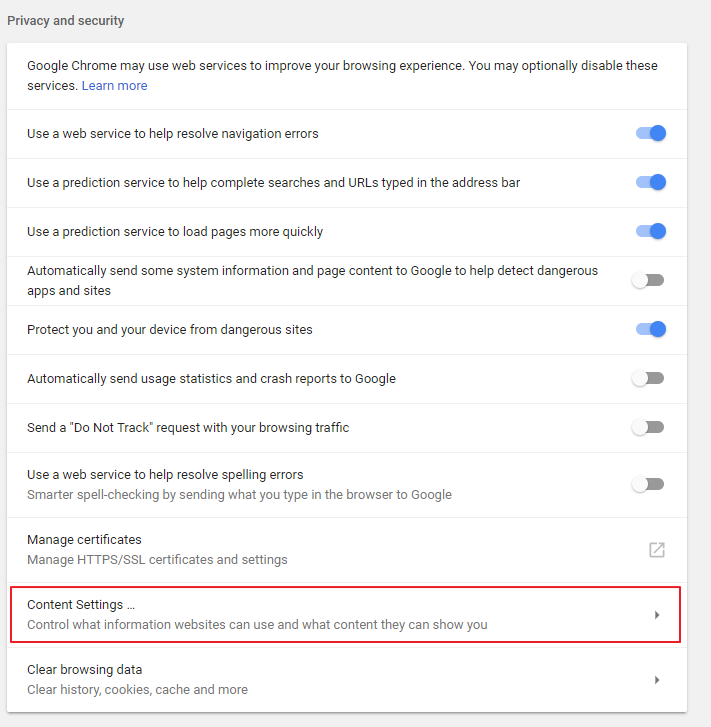 Select "Disable Protection" on this page. A small icon of a shield will appear on the right side of the address bar if the page you are viewing contains unsecure content. Popup will appear at the bottom of the page that says "Only secure content is displayed" if the page you are viewing contains unsecure content. Apple has stopped running programs written using older versions of Java in their browsers. This will affect users who are attempting to access Online Rooms (Collaborate) within MyLO. If you are having issues please download the latest version of Java that has just been released (check Java Downloads for all Operating Systems page). If you are using Snow Leopard please update your Java via the Apple menu. There is a new option within MyLO that allows you to directly add a URL or embed code for either a Video or an Audio component. 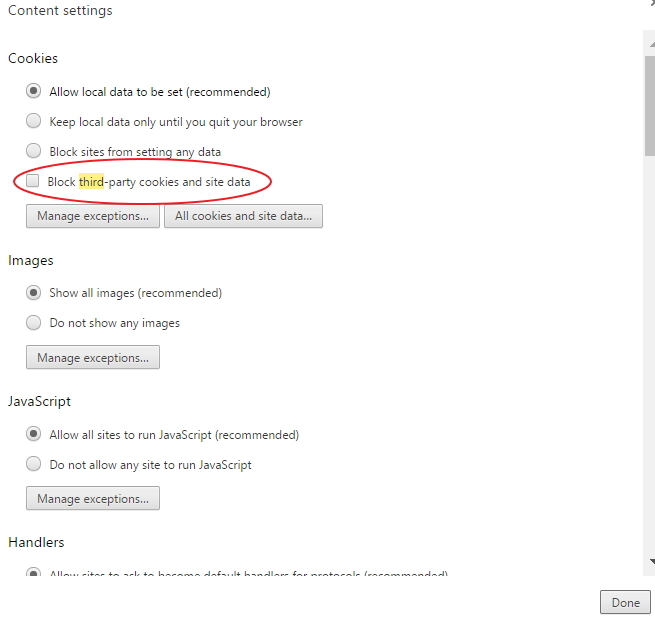 This option can be used with several different sites- but not for MyMedia. If you enter your URL in this way it will not play. If you enter the embed code it will play, but not in full screen. We recommend using your normal method of adding MyMedia recordings for your students to access. With the new Turnitin integration within MyLO there are a few common errors that are appearing that can be overcome quite easily. 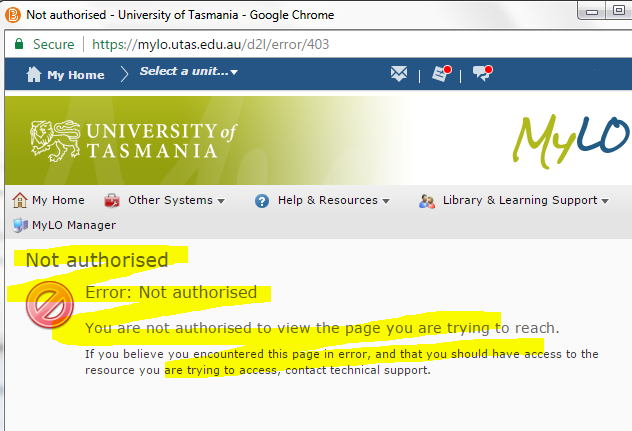 This help guide: https://mylo.utas.edu.au/d2l/lor/viewer/view.d2l?ou=6607&loIdentId=96282 includes workarounds with errors you may receive when creating your assignment, issues with GradeMark, and how you can go about resubmitting items to Turnitin to receive your originality reports. However unless you change a setting in the View User Progress tool, students will still be able to see their exact mark , as well as see where they sit in regards to others in their class. This setting needs to be turned off in each unit that you do not want your students to see this data. Un-tick the option: Display box plots of the class grade and distribution for graded items. Press save. We have come across an issue where a staff member will get an internal error when trying to access the Gradebook, Classlist or an assessment. This will only occur IF you have been searching for Groups of students instead of by user, AND there are two copies ( or more) of a Group with the same name. The issue is resolved by removing the groups/s that are not correct. If you cannot access the Groups tool to fix this you can log a job with the Service Desk. Below is what a Campus Group should look like. You can see in the List below there are two campus groups in the list. Delete the incorrect group/s and you will no loger get an internal error. When a Turnitin assignment is created within a Learning Management System (LMS*) course, a Turnitin class is created for this course if one does not already exist. This class has a default end date which is typically six months from the creation date or on the day of the latest post date for Turnitin assignments in that class. Once this end date is reached the class becomes "expired," which means any submissions in this class become read-only. Instructors will be able to view the originality report and any grades, comments and rubrics attached, but will not be able to make any modifications until the class is reactivated. A student who opens their Originality Report will not receive a read-only message - this is because students do not have the ability to add grades or feedback to their reports, irrespective of whether the class is active or not. So a read-only message is not considered necessary for students. Therefore: to avoid students being unable to access feedback you should get all students to download their personal Grademark feedback before the end of semester. If students are getting an error message similar to the one below, it is likely that the course on the Turnitin side has closed. If your unit is still running you can fix this issue by creating a semester long Turnitin Assignment folder and hide this from your students as shown in the instructions below. Create a new Assignment folder. On the restrictions tab select a start and end date- ensure the end date is the semester end date / unit end date. Tick the option to allow only users with special access to see this folder. But do not choose any students. This folder will therefore be hidden from their view. On the Turnitin tab select the option to enable Turnitin folder. You do not need to worry about any other settings as it will not actually be used. Your students will then again be able to access their Grademark and we advise that students download a PDF copy of their Grademark to keep for future reference. Once they access Turnitin via the Originality Report or Grademark icon, students can select the download option. 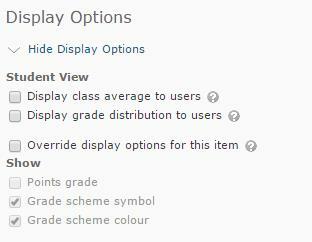 Choose Current view to pirnt out a PDF version of the assignment plus the Grademark and feedback left by the Lecturer. When trying to send an email from within the Classlist or from within a group you receive an error message stating that you are not authorised to do so. The most common cause of this problem is due to you having a quiz in progress. To fix the problem look at the alerts within MyLO. Press on the red dot and you will see a message stating that you will not be able to receive any further alerts until the quiz has been submitted. Press on the quiz name - this will take you to the unit with the quiz still in progress. Submit the quiz and you will once again be able to use MyLO email and get other notifications. Note: If you cannot submit your quiz please email your lecturer - they will be able to do this for you or delete the attempt altogether. When using Google Chrome to access web conferencing you get a spinning purple circle and it does not load. This is due to an update in the Google Chrome browser. 2. Put in a search for the term third. 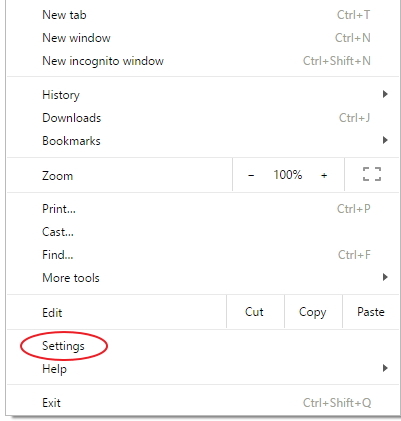 Then press on Content settings so that this can be updated. Please follow the linked information to assist with this in your browser.